Days after Hurricane Irma made landfall in Florida, causing widespread destruction, and killing at least 23 people in Florida and nearby states, President Donald Trump will visit the state on Thursday Sept. 14. “I will be traveling to Florida tomorrow to meet with our great Coast Guard, FEMA and many of the brave first responders & others,” wrote Trump on Twitter on Sept. 13. I will be traveling to Florida tomorrow to meet with our great Coast Guard, FEMA and many of the brave first responders & others. The president will be joined by first lady Melania Trump, Vice President Mike Pence, and Mrs. Karen Pence. Categorized as one of the most powerful Atlantic storms on record when it rampaged through the Caribbean, Irma killed more than 60 people, officials said. At least 23 people died in Florida and nearby states, and destruction was widespread in the Keys, where Irma made initial U.S. landfall on Sunday and became the second major hurricane to strike the mainland this season. President Trump and first lady Melania Trump visited Texas twice, and Louisiana once, following Hurricane Harvey. The hurricane dumped over 25 trillion gallons of water, killing at least 70 people, and causing damage that could cost as much as $190 billion to repair. 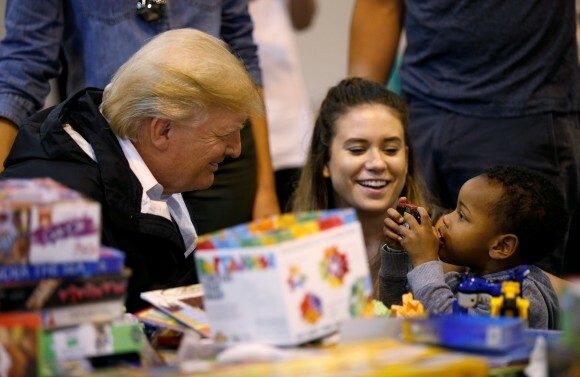 Trump was closely involved in the disaster preparations before both hurricanes, and the response afterward. The president signed disaster declarations for the affected states, making federal staffing and funding available for help. His team, including FEMA director Brock Long, have been working around the clock to provide federal help to local authorities. On Wednesday, Trump signed the “Emergency Aid to American Survivors of Hurricanes Irma and Jose Overseas Act,” which raises the amount that HHS may spend for the provision of assistance to repatriated U.S. citizens from $1 million to $25 million. “The President and the entire administration continue to monitor the situation in Puerto Rico, the United States Virgin Islands, Florida, Texas, and all areas affected by Hurricanes Irma and Harvey,” said White House press secretary Sarah Sanders on Tuesday. The Federal Emergency Management Agency (FEMA) reports 31 deaths in the United States from Irma, including 8 in the Florida Keys. In the Caribbean outside the United States, 38 deaths have been reported. Across Florida and nearby states, some 5 million homes and businesses were without power on Wednesday, down from a peak of 7.8 million on Monday. 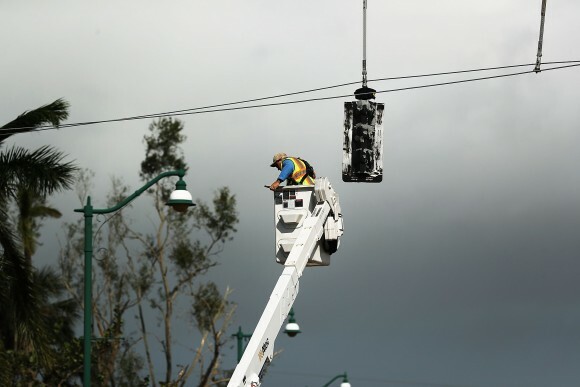 Florida’s largest utility, Florida Power & Light Co, said western parts of Florida might be without electricity until Sept. 22. Irma hit the United States about two weeks after Hurricane Harvey plowed into Houston. 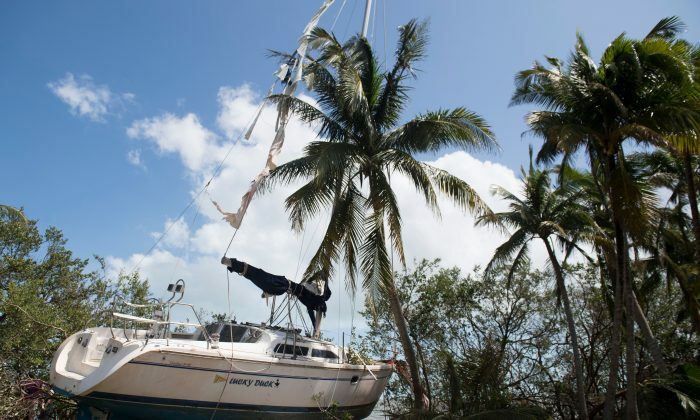 The Florida Keys were largely evacuated by the time Irma barreled ashore as a Category 4 hurricane with sustained winds of up to 130 mph. 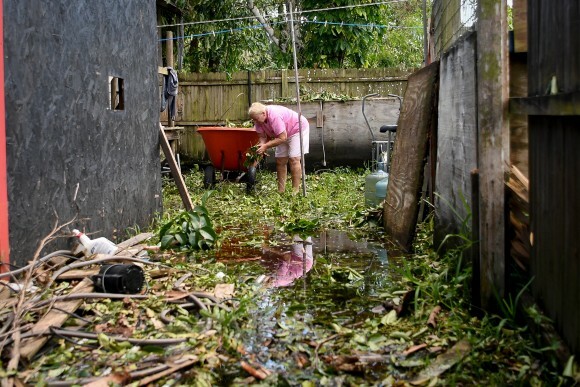 Initial damage assessments found that 25 percent of homes there were destroyed and 65 percent suffered major damage, FEMA administrator Brock Long said.